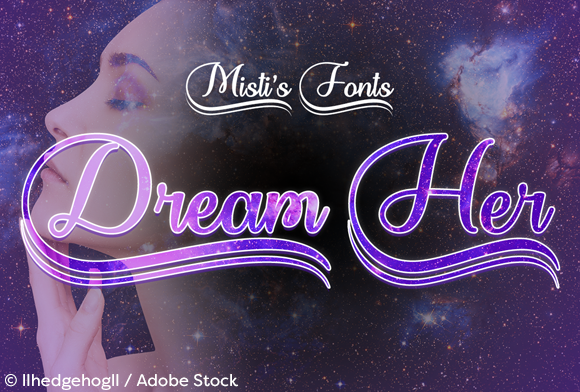 Dream Her is an elegant, calligraphy typeface that is perfect for wedding invites, logos, menus, book covers, and so much more! I have included many “decorative” alternates, which are available as OpenType ligatures, as well as, PUA encoded to be used in any program! – Each uppercase letter has swashes in 21 different lengths to add additional flair and style to your projects!